See the area's best NEW faces! First… Comics compete for laughs, loot and bragging rights. Find out if you could be the next "big thing" or should keep their day gig. Second… National touring comedians crank it up notch to showcase their talents to the audiance. So come out to the show! Make sure you warm up your face muscles and prepare your tear ducts, this evening is hilarious. For more information about the show and tickets call the box office, Virginia Beach: 757-213-5555 ext 5. Reservations will not be taken for this show. 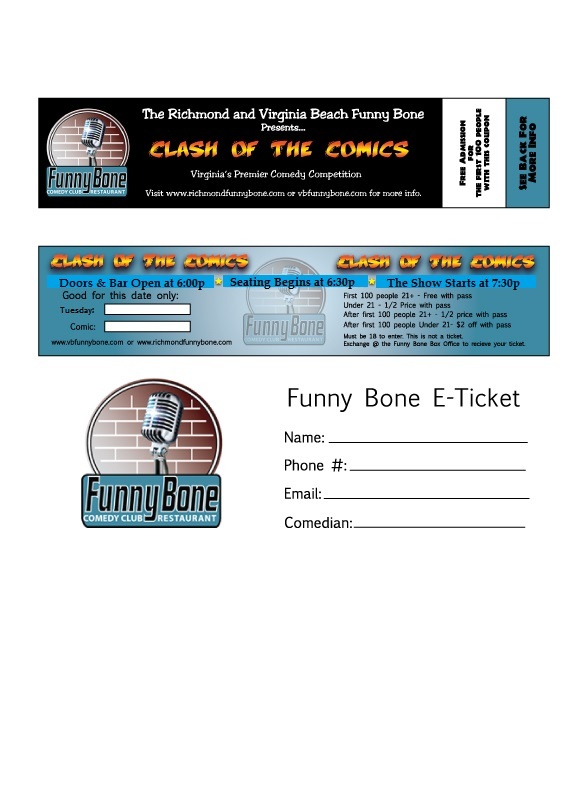 Tickets are available at the door night of show or get a discount pass from your favorite performing comic. Want to compete? Sign up using the form below! The winner gets $100 cash prize and a chance to perform on our stage at another show! Give your best 5 minutes! No "N-word, C-word, or F-word"!